You spend 168 minutes each day on your mobile. Over the past five years it has increased 7 times! Compared to the fact that on average you spend 97 minutes daily with your partner, I think it’s safe to say that mobile plays a big part in our lives. One could ask: “What do people do for that long on their mobile?” Well, the average person has several social media accounts and spends most of their time browsing these networks each day. 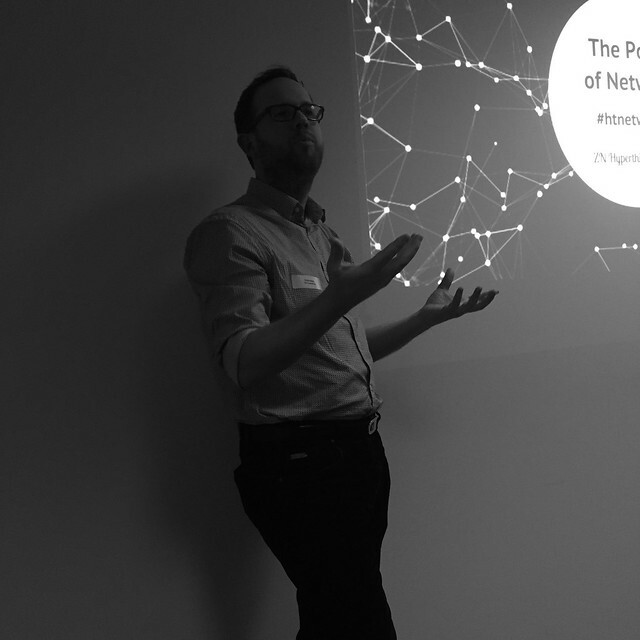 That’s why on Thursday evening (February 4), we at ZN tackled the Power of Networks. Part of the Hyperthinker Series, the informal event featured Bert Marievoet, Country Lead at Twitter Belgium (@bertm), and our very own Phil Weiss (@pweiss) who shared their thoughts on digital networks. So what were the takeaways of the discussion? Bert shared key information concerning Twitter and where this social network can take you. The audience was blown away to find out that there are 6,000 tweets/second worldwide and that video is exploding with Periscope, which has become the closest thing to teleportation as its users explore the world through someone else’s eyes. Now with Periscope, we end up with about 70 live years worth of videos being broadcasted every day. Free content can boost your brand, but make sure it’s qualitative and engaging. Community is the most precious asset. By “giving away” your brand, you make the world work for you. The discussions didn’t end when the speakers finished the Q&A, but they continued over Italian wine, making part II of the Hyperthinker Series another great evening of learning how to make digital your competitive advantage. Be sure not to miss the next event by registering here! To find out more about us and what we do, follow us on Twitter 😉 @ZNConsulting.